The RuiHong: Future Land Superimposed Villa designed and accomplished by HWCD has been successfully listed in the International Design & Architecture Awards 2017 Annual Catalog. The head designers Stefania Fairnella and Lee Dong from HWCD participated the grand award ceremony held in The Dorchester Hotel, Mayfair, UK. The international Design & Architecture Award is a world-level honour. It aims to praise the outstanding work pieces in the mansion designing area, including three categories: architecture, interior and product, and it annually attracts various leading design firms and independent designers from more than ten countries to participate. RuiHong: Future Land has entered the 2017 catalog work collection as a typical example of the luxury lifestyle. 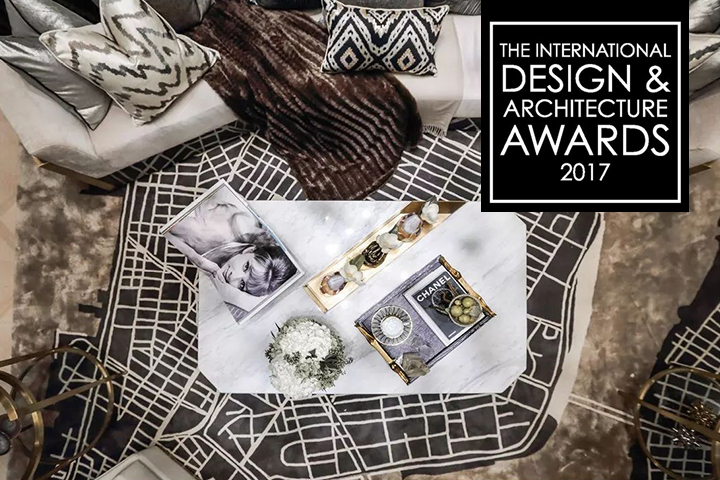 Other design firms winning the award include: Linley Design Firm, Morpheus London Design Firm, Rachel Winham Design Firm and etc.. Tom Faulkner, Daniella Rilley, Samantha Morgan and other top designers also participated the award ceremony along with their epic award winning works.